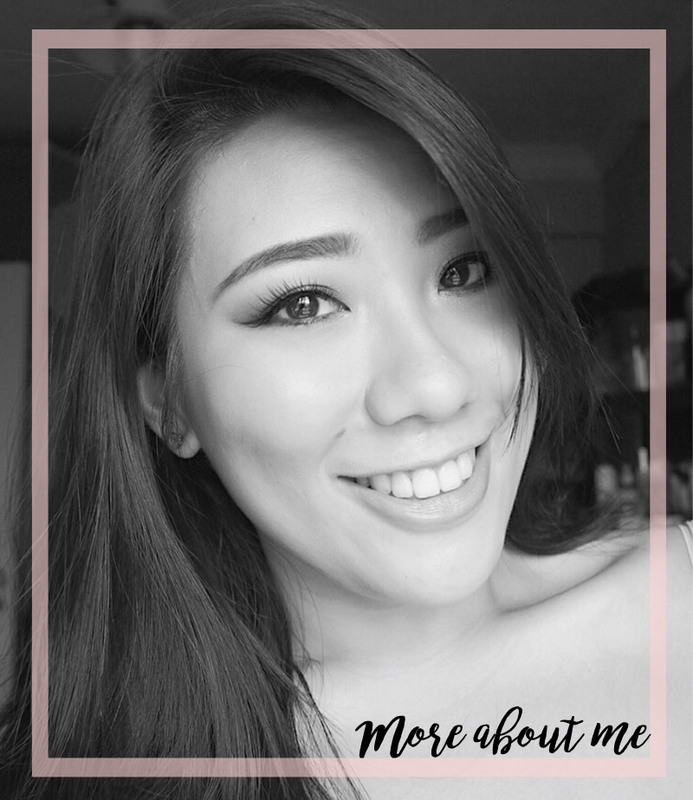 I've been really into bronzers recently, both shimmery and matte, as I am just loving how it makes the skin look healthy, sun-kissed and radiant (with them shimmery ones). 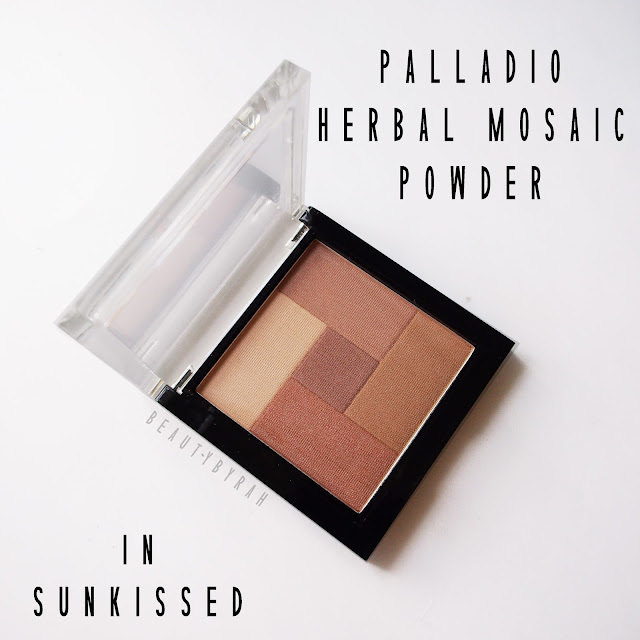 So recently, I got to try out the Palladio Mosaic Bronzer in Sun Kissed and am ready to share my thoughts with you after using this for daily for a while now. 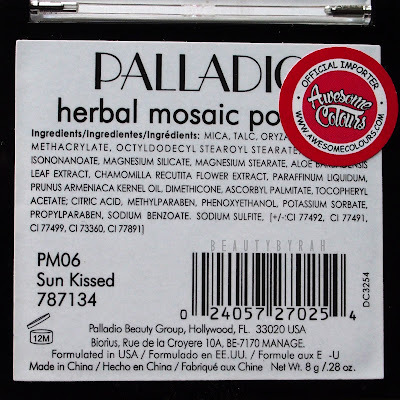 Personally, I've never really explored much of Palladio products so I had no expectations for this bronzer whatsoever when I first got it. But... I'm definitely loving it now. This bronzer comes in a really compact and sturdy plastic packaging with a clear cover which I really like as I can see the product immediately without having to open it up. It comes with 5 different shades which you can use individually (as eyeshadows) or swirl them together with your brush and use them all to bronze up the face. This bronzer does have shimmer to it, but once applied to the skin, it isn't obvious at all and just imparts a slight glow to the skin. 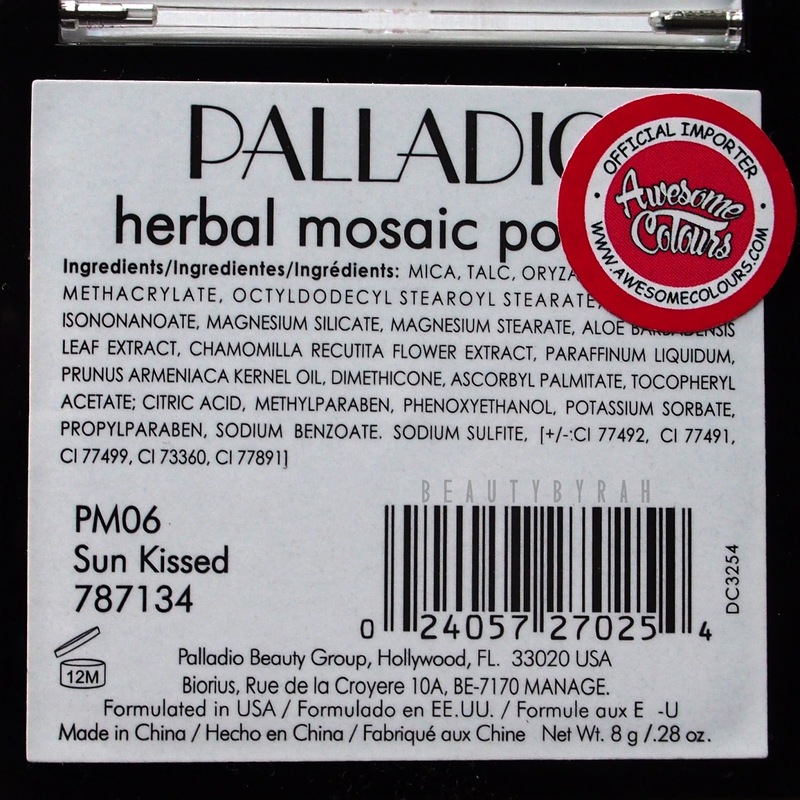 Texture and formulation wise, the powders feel creamy and velvety to the touch. 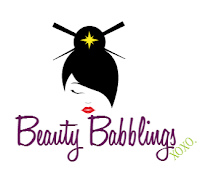 I do find that it is pretty powdery and it can kick up quite a bit of product when you swirl your brush in it. I highly recommend you tap off the excess before applying it to your face to prevent a dense and uneven application. Blendability is great as well. Pigmentation is decent and great for a natural and subtle look. It is a product which you will need to build up if you are going for the J-Lo or Kim K Bronze-y goddess look though, so do take note! I tend to dip my brush into the product twice to give me the intensity that I would like. I do find that the lasting power on this bronzer isn't the strongest and I noticed fading within 4-5 hours of wear, so touching up is needed if you're planning to spend the entire day out looking fabulous. Sorry about the sticker that obscures some ingredients. This retails for around USD$8 for my international readers and SGD$11.90 for my local readers (click here for more details). For the price, I say it is a bang for your buck. 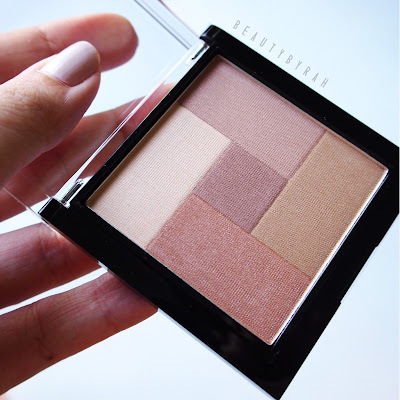 Overall, it is a gorgeous subtle bronzer that really adds depth and radiance to your base makeup. I especially recommend this to beginners in makeup as this bronzer enables you to built up the intensity, rather than a super pigmented one that will leave you panicking and grabbing a blending brush as you've applied too much. in some way and as always, thank you for dropping by! XO. Disclaimer: This product was sent to me but it did not affect my review nor thoughts. Keeping it real, my friends.